How clever is my mum and sister, Rachel? 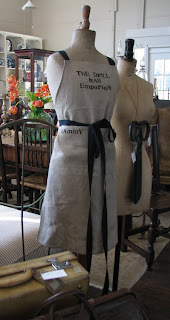 They created these beautiful aprons from French linen and stamped them using vintage wooden printers letters. They look really unique and we are very proud to be wearing them in our store. They actually made them while we were in the UK and surprised us with them upon our return. 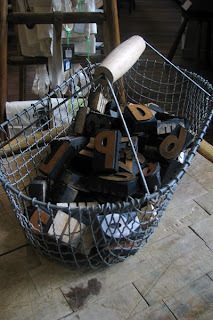 We have the wooden printers letters in our store. A lady bought some that spelt "baby" on the weekend, as a gift to her friend setting up a nursery.